PRAYER PROMPT ••• Our world loves coincidence. We marvel at the unlikely series of events that bring things together in unexpected ways. But the closer I grow to Christ and the more I understand God, the more I realize – our worldly definition of “coincidence” is just wrong. He is involved in every finite detail of our lives, even using seemingly random, unexpected moments for His purpose. 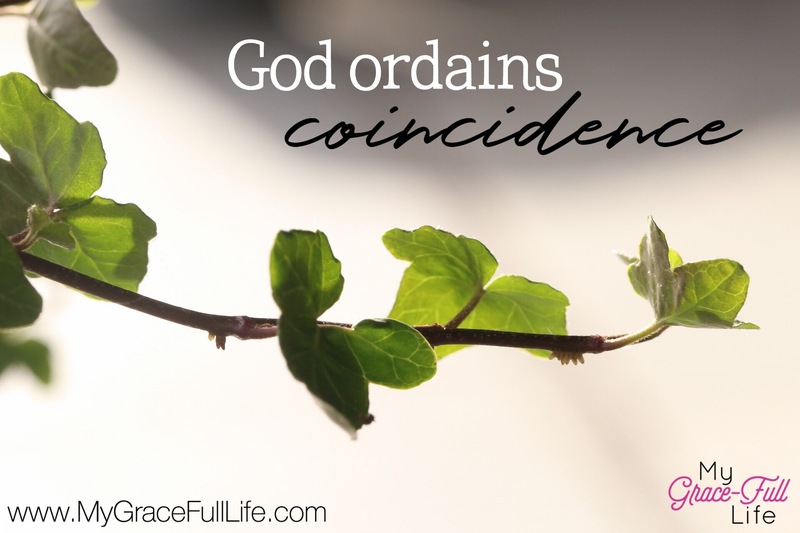 I looked up “coincidence,” to see if it had a place in the Bible; it did. Our God knows the number of hairs on our head (Matthew 10:30). That alone says God cares about every detail. In short, God’s got a plan and He will make it happen. Even if we fail to acknowledge His hand in the seemingly random moments. Yesterday, I shared that a friend had Romans 8:28 come to her twice in the same day. Some may view such a thing as trivial or random. I’ve had it happen to me too – the same Scripture showing up 2, 3, 4, even 5 times in a row. When that happens, it’s not random! I also encourage you to think about the people in your life. God has placed you in their lives for a purpose; or vice versa! Maybe He has placed them in yours! Look at your situations and look for the ways God is using the smallest, most infinitesimal details in big and powerful ways. Today, as you pray, thank God for being the master designer and architect He is. He’s left nothing to chance but has everything outlined in the blueprint of our lives and the blueprints of humanity. Ask Him to show you the ways He’s working, so you can appreciate the seemingly insignificant as a direct work of His hand.